Pain that is centrally located around the coccyx or tailbone is medically referred to as coccydynia.The layman’s term is tailbone pain. This area is a complex anatomical structure comprised of a small bone that is fused by a cartilage layer. In children the area is not completely fused to the spine, as in adults, and subject to injury upon impact. Pain develops in the area of the coccyx when there is a direct blow or fall, landing on the tailbone. Athletic injuries that involve direct impact, as well as activities such as bike riding or horseback riding may result in muscle and tendon strains surrounding the tailbone. A fall at work or a car accidnet may result in tailbone pain. Pain and severe discomfort may result from injury to the tailbone. The most common cause of coccydynia is a direct blow or impact to the tailbone. 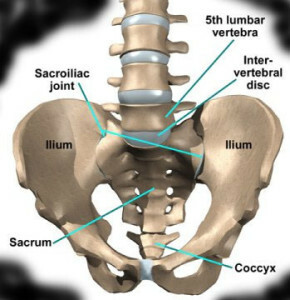 The coccyx is susceptible to injury if it is landed on in a fall or hit with blunt force. Motor vehicle accidents, sporting injuries or slip and fall accidents while at work may all cause injury to the coccyx. Coccydynia is a painful condition that requires treatment in order to relieve the symptoms. Arizona IMA often treats coccydynia as a premier Arizona workers comp doctor. There are cases of pregnant women who experience damage to the coccyx during childbirth. The damage may result in minor bruising and pain or a fracture to the tailbone. Falls in children and adults are common causes of coccydynia. Pain is among the most common symptom of coccydynia. Since the condition is painful, it can be extremely frustrating because it requires time to heal. 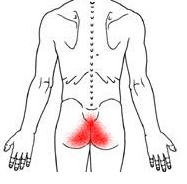 The pain may be dull and aching in nature or result in stabbing and piercing pain that radiates around the low back and into the legs. In some of the most severe cases of coccydynia, patients report pain an inability to bend over or forward toward the ground. Restricted range of motion is not uncommon. While coccydynia is not a life-threatening condition, it should be treated because the symptoms can be unbearable at times. The condition is very painful and can cause interrupted daily activities as well as an upset in routine life. Missed work and an inability to care for children are common in patients with the condition. In order to diagnose the condition your workmans comp doctor will order x-rays during the initial medical screening. A complete physical examination will be conducted with manipulations and positioning of the spine and tailbone. Your doctor may apply pressure to the affected area to diagnose the site of injury. You may also be asked to move around into different positions so that your workes comp pain specialist can assess which movements result in pain or discomfort. therapy, medication or pain treatments. Pain treatments may include nerve blocks or topiocal medications, acupuncture or other forms of treatment. Acupuncture has become a popular method of treatment for coccydynia presenting low risk and high effectiveness for pain relief. Ganglion Impar Blocks may also be used with a high rate of success. These injections are performed as an outpatient procedure and offer a high rate of success, with the ability to simply repeat when the pain relief wears off. For mild cases of coccydynia, physical therapy and lifestyle changes may be used to treat the condition. Using a donut pillow can be beneficial when sitting for prolonged periods of time. The shape of the pillow is designed to help eliminate pressure placed on the tailbone providing significant pain relief when sitting. Physical therapy that consists of the application of warm and cold packs, ice application, cold compresses and warm whirlpool baths may help reduce symptoms and provide relief. When sitting in a tub, it is important to not sit on the hard porcelain but use a device designed for coccydynia relief. Sitting on a hard surface may cause increased pain. Coccyx pain can be treated effectively to reduce symptoms and improve the outcome of the condition. According to Dr. Roger Harms, MD of the Mayo Clinic Foundation, physical therapy, manipulation and medications are among the most effective forms of treatment when it comes to relieving coccydynia symptoms. While the pain may be severe at the time, over several weeks or months, depending on the severity of the condition, relief is inevitable. Nearly 80% or more of individuals with coccydynia receive relief and diminished symptoms within weeks to months of non-surgical treatment. Surgery only offers a 50/50 chance of success, so it is best to exhaust nonoperative treatments first.